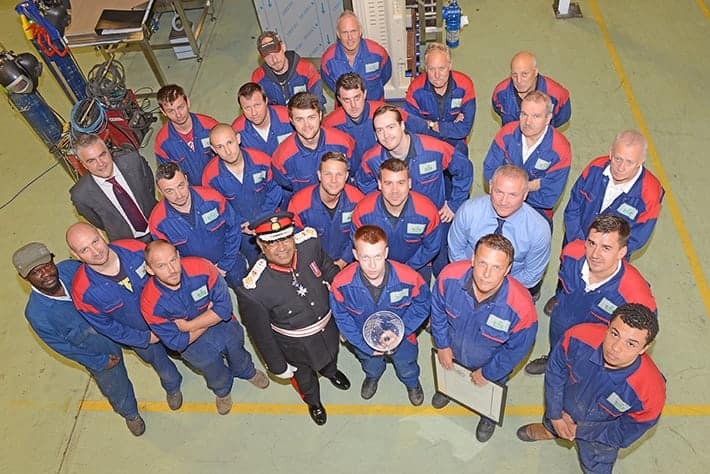 Birmingham-based Industrial Washing Machines Limited (IWM) has been presented with the Scroll and Crystal Bowl for achieving the Queen’s Award for Enterprise. 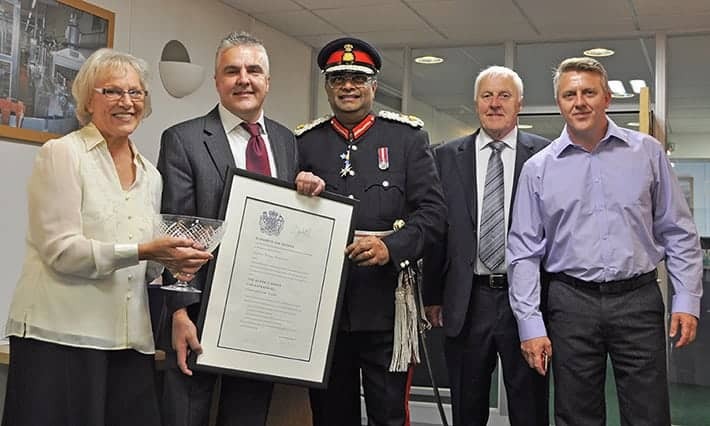 The ceremony was held at the company’s Birmingham offices on August 4, 2014 and the Lord Lieutenant awarded IWM the scroll and crystal bowl in the presence of the High Sheriff, employees, suppliers and IWM partners. IWM won the Queen’s Award for Enterprise – International Trade. The Queen’s Award is seen as a sign of excellence. IWM showed outstanding export growth and global reach. The Awards are assessed by a panel of expert judges from both the public and private sector, providing a high level of scrutiny to meet the Gold Standard required. The ceremony started with an address from the company Managing Director Carl Hollier welcoming the guests and keynote speakers. The Lord Lieutenant’s speech emphasised the Achievement of IWM Staff and the Kudos that such an award can bring. The lord Lieutenant’s speech was both motivating and congratulatory. Dignitaries mingled with all IWM staff to share in the occasion. A tour of the factory and a visit to the newly built demonstration area concluded the proceedings during the day. “Winning such a prestigious accolade was a big confidence boost for us”, explained Carl Hollier, Managing Director at IWM. “It also meant so much to my father who founded the company and moulded into the strong manufacturing unit it is today. IWM is a success story because of the people who put their heart and soul into it and a Queen’s Award is the ultimate recompense for us all”. The Lord Lieutenant, Mr Sabapathy added about the event: “It is always great to see small, family run businesses that take chances and forge their own destiny. 570% growth in the last three years alone is a great achievement and we are here to celebrate their dedication and courage in taking the business further. The private sector needs more companies like IWM and obviously, more leaders like Mr Hollier guiding them”, he finished.